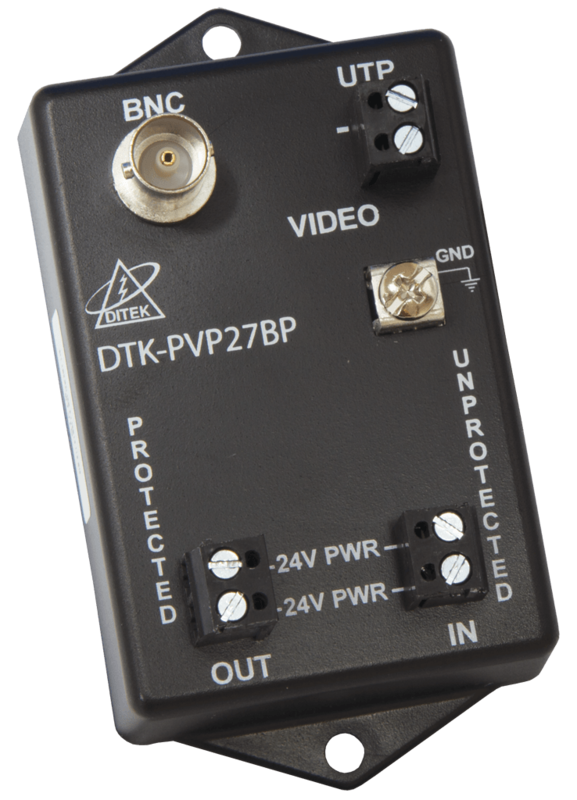 The DTK-PVP27BP provides surge protection for fixed analog and HDCCTV cameras running on coax cabling. Each device protects 12/24V power, and video conductors. 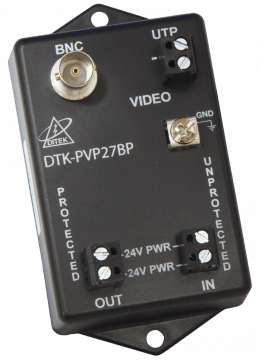 Includes passive Balun conversion.